Baby Ring - Positive angle of incidence??? I'm approaching the point where I will have to cut out the relief in the fuselage for the wing, and looking at my original B Ring with a built up wing and Chauncey's tracings it looks like there is a positive angle of incidence. If there is, what is it in degrees? But looking at my Scientific Cyclone with a flat wing, the angle of incidence is zero. Is there a different angle for built up wings as opposed to flat wings? This B Ring will have a solid SIG air foil wing. Re: Baby Ring - Positive angle of incidence??? I saw that too. I took it out and made the stab and wing parallel. Alibi: I haven't completed the build. For my first Beginner's Ringmaster, I did put in the positive incidence. The positive incidence is there for a beginner pilot who is just trying to keep the plane in the air without crashing and not going to be flying inverted, and has helped the two pilots I used the plane to introduce to CL flying. For my Baby RM, I didn't have any positive incidence. I guess it's been a while, but I don't remember there being positive incidence in the Baby RM plans I used. For the beginner pilot, the balance point is farther forward than a normal stunt design to keep the plane stable and non-twitchy. With the balance point forward of optimal, the positive incidence of the wing helps the plane fly level at speed. Since you're beyond the "let's keep it simple so you don't crash going roundy-roundy" stage, just leave off the incidence and make everything inline. That'll make every maneuver other than inside loops fly better. 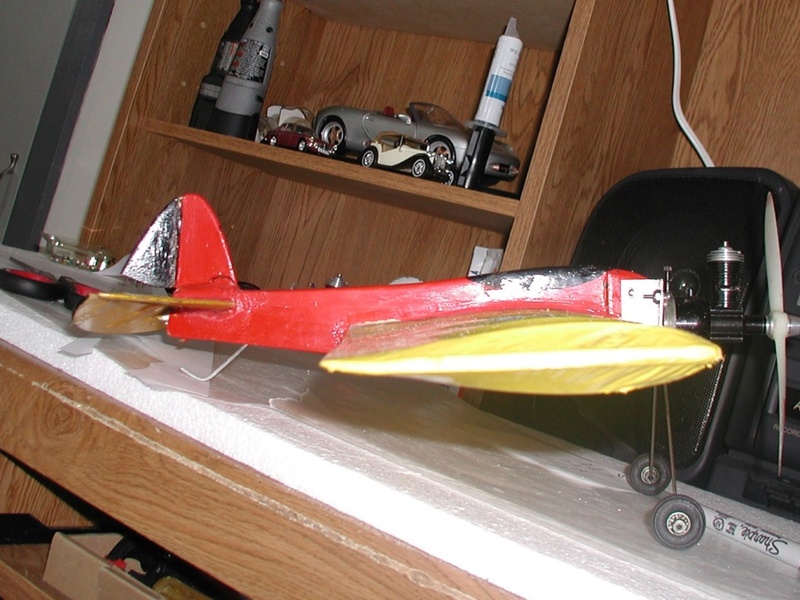 When I did my second Beginner's RM last year using 4" SIG airfoiled balsa, I left everything inline and it flies great. See the pics and video in the 9th post of "this" thread. 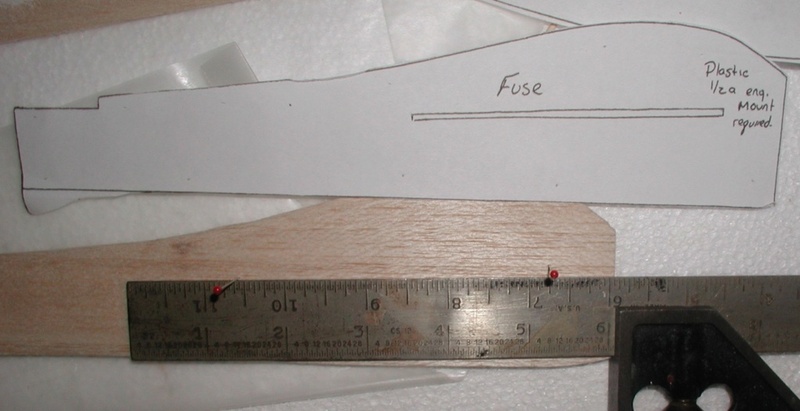 The positive incidence would definitely not be wanted with the airfoil shaped balsa wing. Thanks guys. That makes sense Mark. I will shoot for zero, but with my eyes and shaky hands I never know what I will get. But if I make an error I hope it will be on the positive side.